Our team was thrilled to move in to our new office space last month. 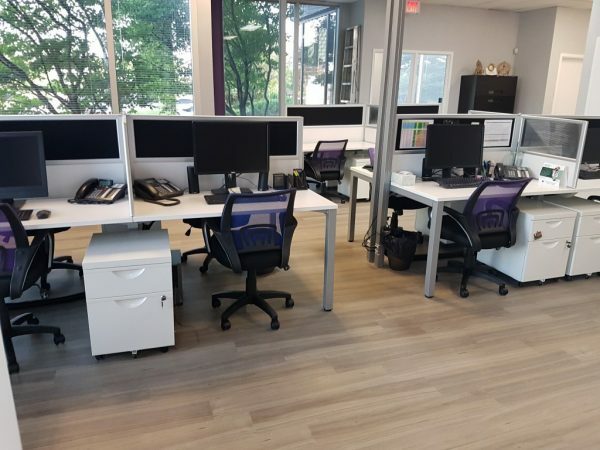 We grew out of our old office in just 2.5 short years but are extremely excited about the new space which has tons of bright light, allows us to nearly triple in size and is centrally located. We have finally gotten around to some inspiring office design including branding, beginning with the exterior followed by the interior. There is a lot of work that goes into designing an office space, and it makes sense – this is where we spend 40+ hours a week! Your office design should be inspiring, welcoming and encourage productivity. Whether you are designing a new space or redesigning an existing one, we’ve come up with 6 important things to consider. Try these tips and you’ll find yourself looking forward to coming into your bright, beautiful office! Whether you work in an office building or have a stand-alone store, it’s important to ensure your clients can find you. If your space is hard to find, your clients may become frustrated; you could even lose business from potential customers driving past your location! 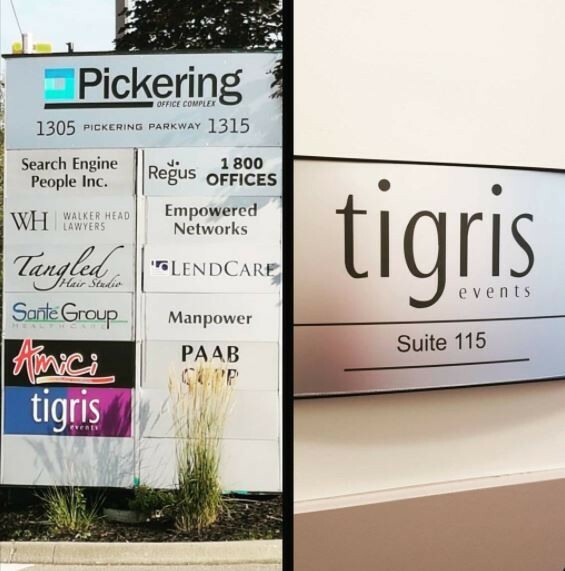 At our new location, Tigris is located within a 10 story office building. We put our colourful logo on the office directories outside and have various signs indoors to directs guests to our space on the first floor. We are also in the midst of securing a permit for a large sign on the exterior of the building by the door closest to our main entrance. Your office design should extend beyond the walls of your space. Because we are an agency, we brainstorm and collaborate on ideas all the time. In our previous space, the team was divided into individual offices. At our new office, we have an open concept with floor to ceiling windows – which we love! We ordered 12 white desks with matching cabinets that are grouped into quads. The desks have small privacy screens and black felt (behind the computers) where we can post photos and important reminders. To match the colours in our logo, we bought blue and purple mid back chairs that alternate desk to desk. Mid-back chairs are designed to support the middle of your back as well as your lower back. It’s important your chairs are comfortable and easy to adjust. When someone walks into your office, you want them to immediately know they are in the right space. 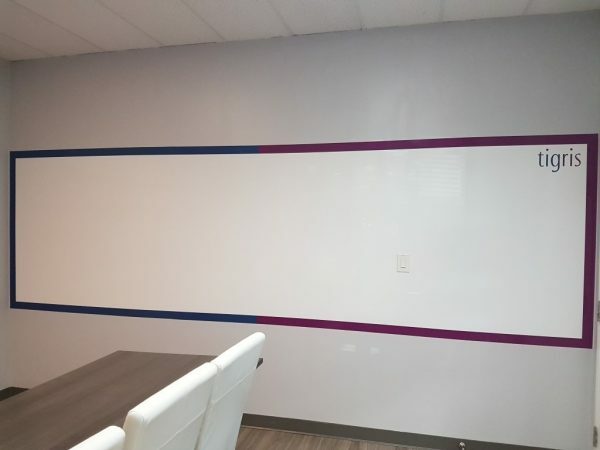 We’ve decorated our office with four main colours: blue, purple, white and grey. In the photo above, our Account Director’s office is on the left with our President & CEO’s to the right. These are the only enclosed rooms within our office design. In fact, these 2 offices were at the heart of the renovation which took place from mid-May to early-August. They also have a bit of privacy with branded, frosted glass. 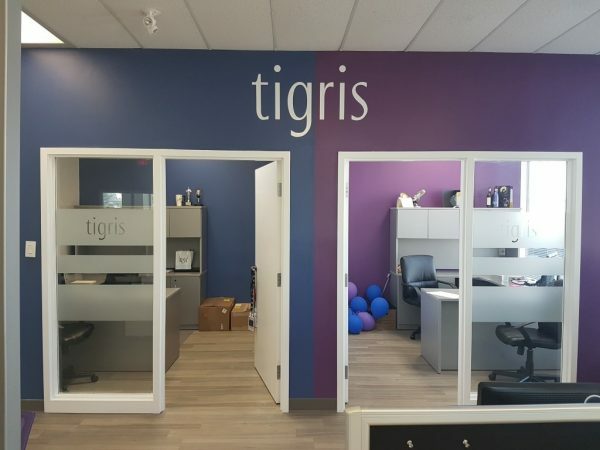 The colours painted on the front and back walls of the office replicate our logo, with ‘tigris’ positioned directly in the middle of the two rooms. The colours pop as soon as you walk into the office while the remaining walls are a neutral grey so it’s not over powering. When it comes to everything else, our floor boards are grey hardwood which are extremely easy to keep clean. Our kitchen includes a stainless steel microwave and fridge, with white shaker cabinets. In addition, we have a kitchen island with grey granite and black bar stools which are great for team lunches and water cooler conversations. Our Tigris team lives by a core structure of values that we carry into every aspect of our work. From recruiting, hiring and managing staff to how we plan and execute events to client services, we believe that we are nothing and have nothing without a strong foundation to stand on. 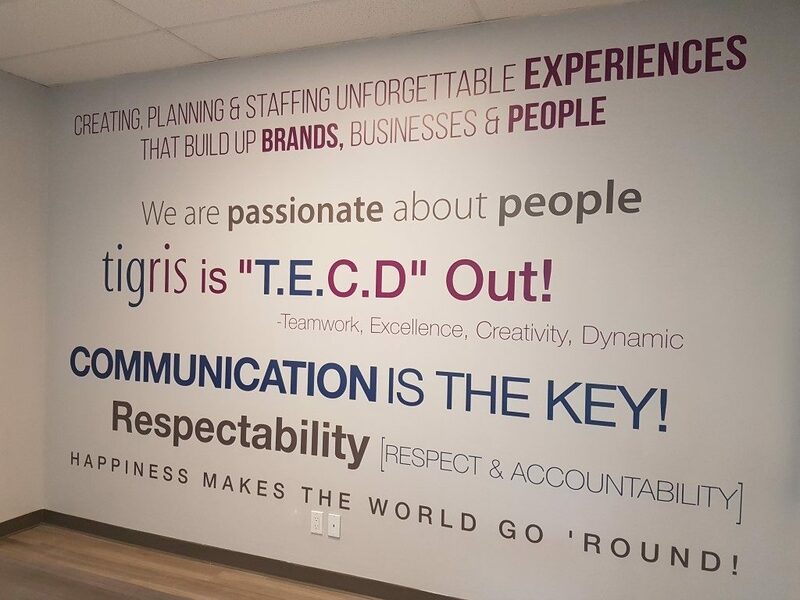 Tigris’ values reflect who we are as a company and within our community. We instill and recognize them on a daily basis and extend them to reach our most valuable partners, our clients. With these values, we believe that nothing is impossible. We live and breathe by these values and together, we make great things happen. We’ve displayed our company mission statement along with our values on the largest wall in our boardroom where we have weekly group meetings, client meetings and group interviews. An office design that displays your mission statement and values will always keep them top of mind. When clients come to us for big, splashy ideas, we now have a massive whiteboard to work with! This dry-erase board will allow us to brainstorm and collaborate on big ideas. 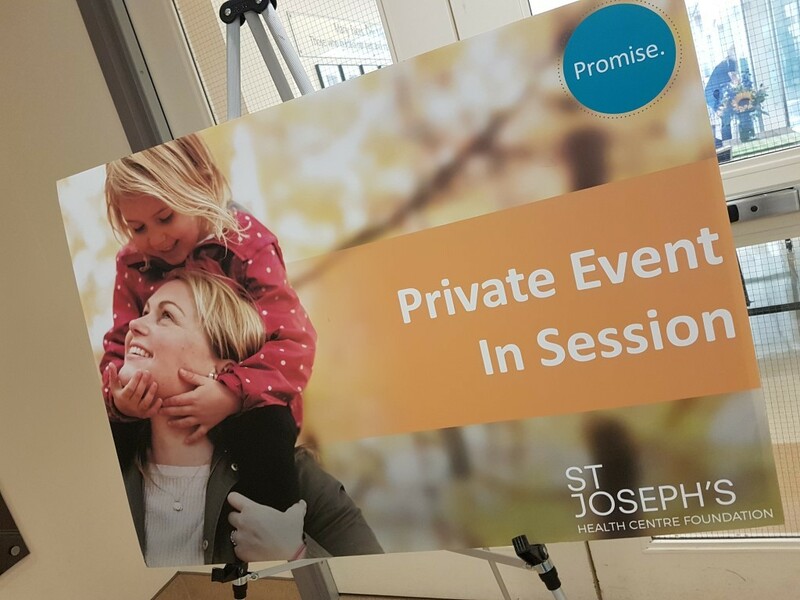 This is how we bring big ideas to life including St. Joseph’s Toronto West Halloween Fest, City of Toronto Berczy Grand Re-Opening, our holiday parties and more! Flaunt it if you’ve got it! Walking into reception, you’ll a banner highlighting one of our recent awards displayed in the corner. It’s important to showcase your awards to build credibility and display what you’ve earned. Recently, our CEO Serena Holmes has picked up a few awards, including the Canadian Events Professional of the Year for CV Magazine’s 2017 Business Woman Awards and the W100 List of Top Women Entrepreneurs in Canada for 2016. 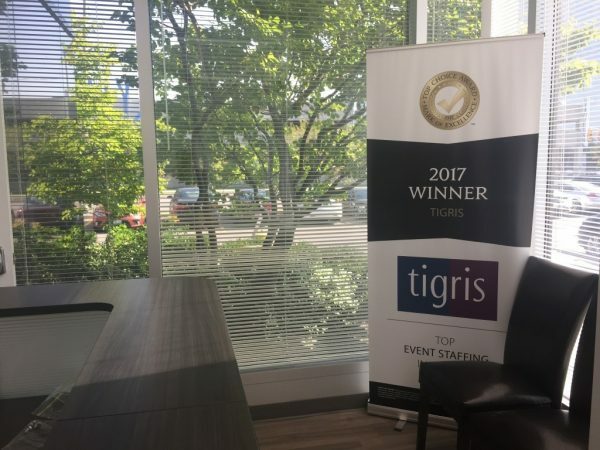 Tigris won the Top Choice Award for Best Event Staffing Agency of 2016 & 2017. This year, Tigris CEO Serena has been nominated for Ernst & Yonge Entrepreneur of the Year, RBC Women of Influence and Top 40 Under 40. 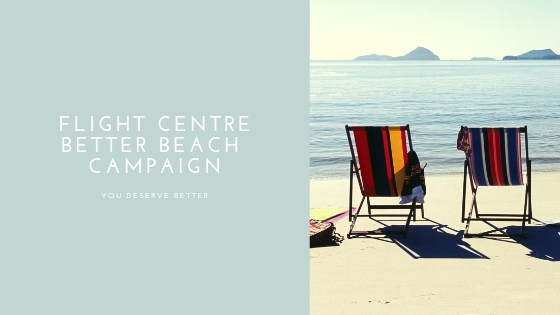 To learn more about our recent achievements, click here. Because we have a big, brand new office space, we’d love for you to come by and talk about your event needs! 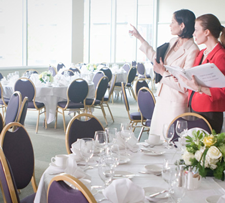 Contact Tigris today to set up a meeting and learn more about our event staffing and planning services. Although our headquarters are located in Pickering, ON, we operated nationwide across Canada with 2,000 events staff on our roster. We look forward to hearing from you.